The study evaluates widening the existing two-lane road to a four- or six-lane divided highway to handle future expected traffic.  The Florida Department of Transportation (FDOT or “the Department”) District One is conducting a Project Development and Environment (PD&E) Study for a 6.1 mile segment of State Road (SR) 70 from Lorraine Road to County Road (CR) 675 (Waterbury Rd) in Manatee County. SR 70 is a principal arterial and a primary east-west highway providing regional access to employment centers, agricultural lands and residential areas across the state. The study evaluates widening the existing two-lane road to a four- or six-lane divided highway to handle future expected traffic. This study is necessary due to the projected growth in population for the area surrounding the project limits. The Department is concurrently completing the design for this project and preparing a complete set of construction contract documents and incidental engineering services, as necessary, for improvements to the facility. Click on the various pages of this website for information about the study process, future public involvement meetings, the project schedule and information on how to contact FDOT's project manager. Click image for full screen map.